Picture this; You filed your taxes and went on with your life. Weeks later, you wake up in the middle of the night realizing you forgot to include your daughter (born over the past year), as a dependent. Not only did you forgot to include your own child on your tax return, but you also forgot to claim extra tax dollars. What’s next? You briefly remember hearing about tax return amendments but wonder how to amend a tax return? 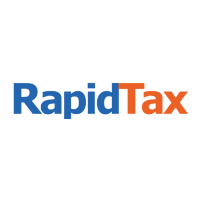 Good news, you can file an amended tax return and correct any mistakes with RapidTax. Filing an amended tax return (known as Form 1040X) is necessary when you need to change information to an already filed return. Tax filers usually file an amended return in one of two situations; the IRS reported errors on the tax return or you want to add or delete something on the tax return. If you reported the wrong filing status, the number of dependents, deductions, credits or income, you’ll need to file an amended tax return. However, if you made math errors, you don’t need to file an amended tax return. The IRS computers will correct math errors. Sign in to your RapidTax account, the “My Status” page will automatically appear upon log-in. As long as your return has been accepted and processed, there will be a green button to file an amended return. Click this green button. Your RapidTax account will unlock and you make changes on your filed return. Once you’ve made the changes, be sure to submit. Upon submitting, you’ll be required to pay a fee of $39.99 by credit card. Once you have submitted and paid, our team will process the information. Once the amended tax return is reviewed and prepared by our tax experts, it will be available for download. At this point, the most important step is to download, print and mail in the amended return to the IRS. If you have tax due, you can include a check. The only way the IRS will accept an amended tax return is by mail. Once received, processing from the IRS can take up to 16 weeks since your amended return will take up to 3 weeks after you mailed it to show up in the IRS system. Note: If you need to file an amended return for a prior year return, you’ll have to call RapidTax and pay the $39.99 fee over the phone and the team will instruct you on how to amend your prior year tax return. Are you a new customer and filed with another tax preparation service? You will need to contact the customer support team notifying them that you will be preparing an amended return in which you can either e-mail or fax your original accepted tax return. Create an account for the tax year you’re completing. Once you are done saving your amended information, contact our customer support team to make your $99.95 payment. After the payment is processed, your account will be submitted and your amended return will be reviewed and processed to be available on the “Download” tab of your Status Page. You can track your amended return by clicking the “Amend Return Status” on the IRS site. How Long Do I have to Amend a Tax Return and Collect a Refund? You can collect a refund for up to three years from the date you filed originally or if you filed before the April 15th deadline, you have up to three years from April 15th. That means if you filed your taxes and need to make changes, don’t delay in filing your amended return. Next time you panic from realizing you forgot something on your tax return, rest assured knowing RapidTax will help you file an amended return! Previous PostPrevious What are the 2015 Refund Cycle Dates?